This volume analyses the NJAC judgment and provides a rich context to it, in terms of philosophical, comparative and constitutional issues that underpin it. The work traces the history of judicial appointments in India; examines the constitutional principles behind selecting judges and their application in the NJAC judgment; and comparatively looks at the judicial appointments process in six select countries—United Kingdom, South Africa, Canada, Pakistan, Sri Lanka and Nepal—enquiring into what makes a good judge and an effective appointments process. 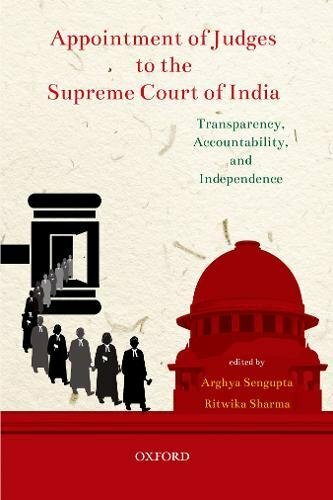 With wide-ranging essays by leading lawyers, political scientists and academics from India and abroad, the volume is a deep dive into the constitutional concepts of judicial independence and separation of powers as discussed in the NJAC judgment.